I’ve been playing a little bit of Disc golf lately since I found a new course very close to where I live. One problem I have is that I just have a few “reviews” of discs to go by online and most of them are the same copy/paste from a manufacturer’s description “this is a slightly overstable disc blah blah”. Anyway I hope to write a few reviews of discs from a pretty amateur point of view. 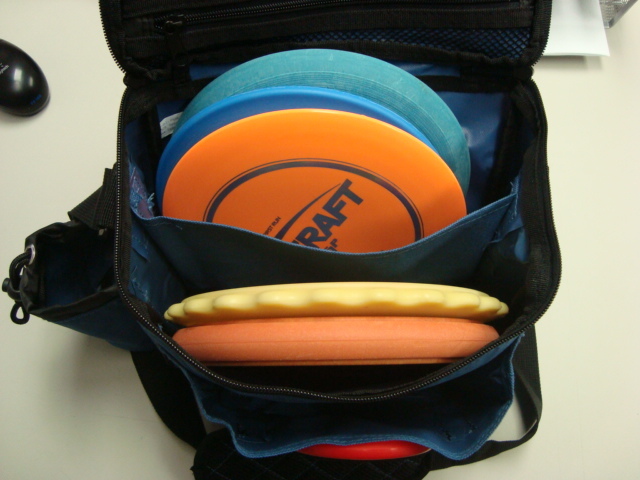 Most recently I purchased a couple discs and a bag from EverythingDiscGolf.com and was really satisfied both with the turn-around time (order was processed in 2 hours on the nose so no need for the $2.99 rush processing) with the standard delivery time (ordered the 23rd and received the 25th) and with the quality of the products I received. Product Quality: Great! Two discs were separate in the box and the others were sealed in a plastic bag. Two discs look like they’ve been moved around in a warehouse for a while now (no cuts or scuffs) and the others look like they’ve never been touched by human hands. 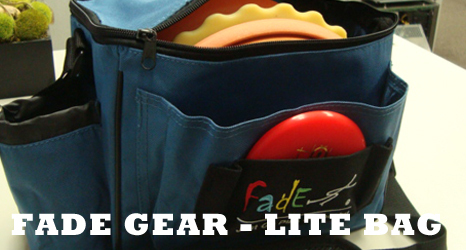 I’ll be doing individual reviews of the discs and how they throw/fly etc. But for now I’ll stick with what I thought I was getting and what I got. This disc is fun, flies relatively straight over a short distance and is really really rubbery/flexible (click to see for yourself!). After playing with the Innova DX plastic for years I had no idea that discs came so floppy! I plan on using this one every chance I get because I just enjoy the difference of it and a standard putter/midrange and enjoy the way it feels. 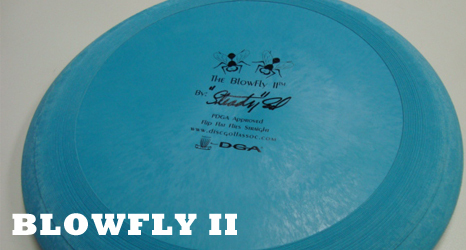 The color of the disc on the EDG site was like a purple color but looking at the DiscGolfAssoc.com website it clearly shows that the Blowfly II is a blueish color – which it definitely is. At $11, this disc is surely going to be worth the money and save a lot of my other discs from violent tree-deaths. 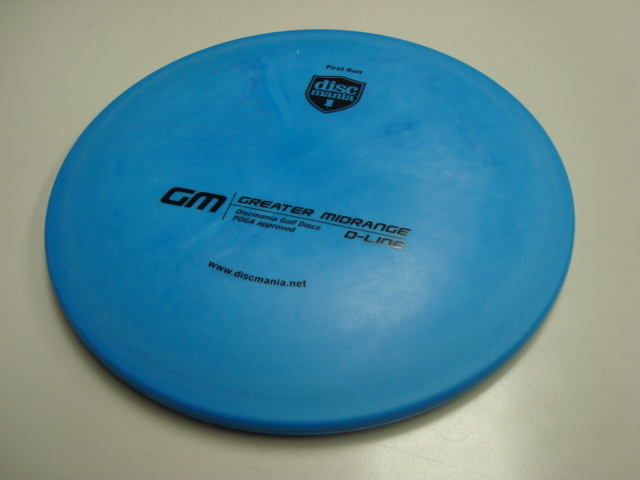 Innova made the Gremlin a while back and has since discontinued it sometime in 2004. Nobody is really sure why as it was one of the better mid-range discs out there. Reviews like “I have come to a conclusion that the best midrange on the market is the Pro Line Gremlin. The only problem is that the Gremlin has been discontinued by Innova and is close to impossible to get your hands on.” (source) led me on a journey to find one of these puppies. That’s when I found the Discmania GM. 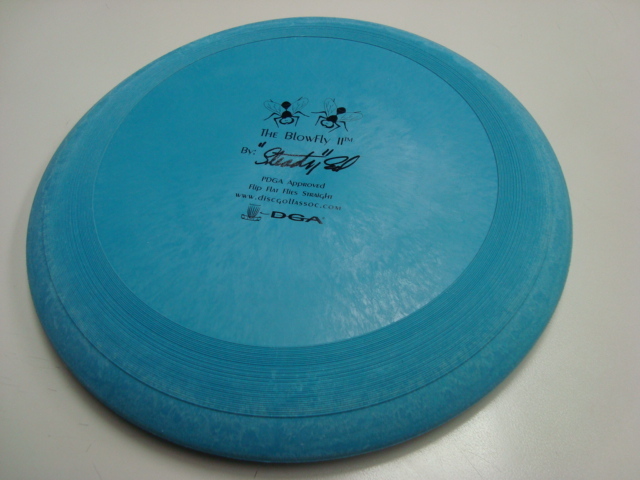 You have seen this disc before as the Gremlin in the Innova line. 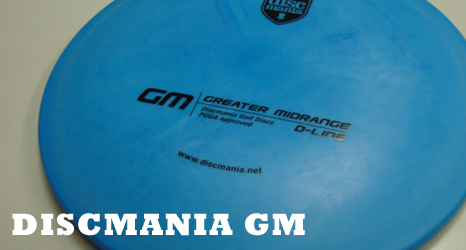 Discmania has taken over this out of production Innova Gremlin model and it’s available in their D-line plastic which is similar to the Innova DX (but a little more rubbery feeling to me). I am expecting great throws from this little guy. I fell for the “featured” products at the top of the EDG page and sunk one of these Nukes in my shopping cart. It’s a bright royal blue color with silver lettering on their website but was shipped to me in a bright orange/yellow color (probably because I selected the “bright” color option). 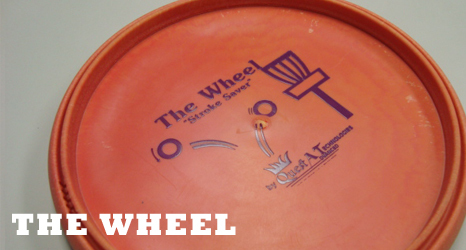 Turns out that Discraft engineers spent more than a year developing this disc (so that’s why it cost me $15…). Every pro disc golfer out there has tooted the Nuke horn (who knows how much $ they were paid to say it of course) and said that it’s the furthest driver in their bag. We’ll see how that goes when I get a chance to throw it. It’s extremely low-profile and has a really wide rim on it. Ok I admit it. I bouht this disc solely for the way it looked. 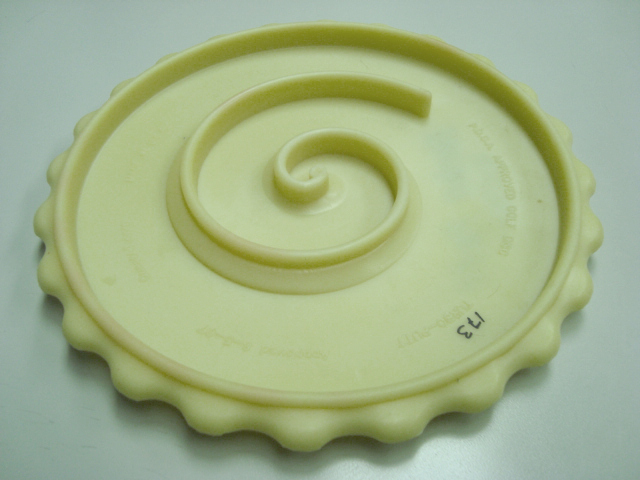 I didn’t expect it to have a big spiral on the underside that’s supposed to be where your thumb can grab on. That and the fact that this is the only disc to have it’s PDGA approval revoked. 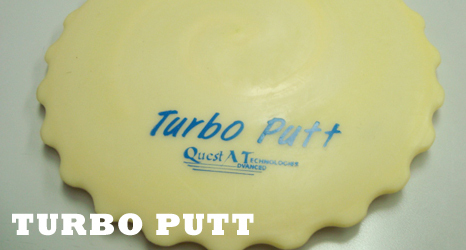 There was a legal battle between Quest and PDGA so the Turbo Putt was re-approved until the end of 2008 and now it is no longer approved. Sweet! I hope I don’t fall in love with this disc and end up playing in PDGA-sanctioned tournaments!! 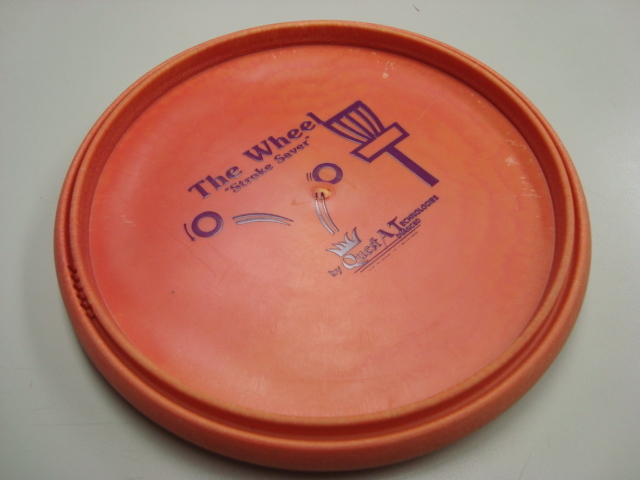 The QuestAT website lists the PDGA approval in 2007 but doesn’t mention it being revoked. I was expecting a blueish color disc going by the pictures on the EDG site but got this one in white (fine by me). 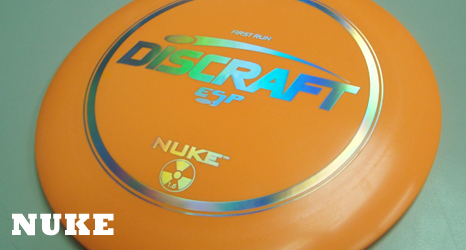 Pretty fun disc and great conversation piece about the different types of discs out there. Another disc that I was drawn to simply by it’s shape and style. 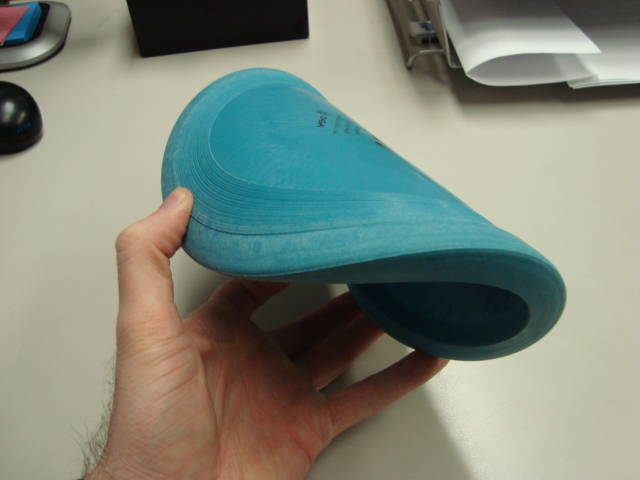 It’s wide round rim resembles a bike tire and has a flat “middle”. Roll this disc backhand or overhand to roll past obstacles or throw high underhand shots with backspin for a precision stop. I’m really looking forward to this one. 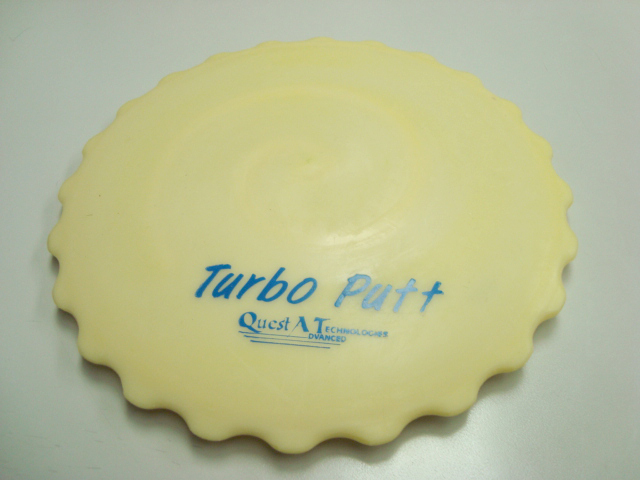 This is yet another QuestAT disc that is “Is a PDGA conforming golf disc and we are awaiting its PDGA approval.” – I doubt that with the troubles they gave the PDGA with the Turbo Putt that this disc will ever be approved. But it looks cool as hell and is sure to get me out of some tight spots! 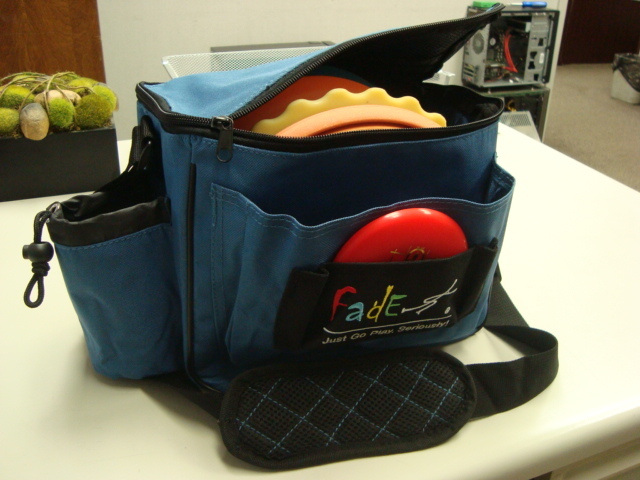 I picked this bag because #1 I have read lots of good things about the Fade Gear bags and #2 because I didn’t really need a very large bag… From the looks of it (another picture) this looks like a very sturdy durable bag that’s not too big. It’s got one drink holder, a front pocket (and one for my mini disc) some pencil holders, and a zipper-net compartment inside the lid. The zippers themselves are a little frustrating as they go around the back less than an inch and it can be difficult to get them to zip back around sometimes. We’ll see how that plays out in the long run and if I end up getting frustrated with it. It’s good for these discs I bought and I can easily fit 2-3 more in it. Stay tuned for some reviews of the discs once I get a chance to use them!